Casa de Santa Vitória is a company that belongs to the Vila Gale Group and is focused on the production and marketing of top quality wines and olive oils of the Alentejo. Designed according to a modern, technological and extremely functional concept, it has been carefully created and equipped in order to produce high quality wines and receive its visitors in the best possible conditions. Casa de Santa Vitória has found in Vidigueira the ideal conditions to achieve a standard of high quality grapes, essential for the production of high character wines. The vineyard was planted from 2000 on, in poorer soils, with gentle slopes and a dominant exposure to the South. The climate is characterized by mild springs and hot summers with cold nights. These daily temperature variations allow the grapes to achieve an optimum level of ripeness keeping, however, plenty of elegance. Those are, in fact, markedly favourable conditions for the maturation of the grapes, creating sweet wines full of body and colour. The red varieties are: Touriga Nacional, Trincadeira, Aragonês, Cabernet Sauvignon, Syrah, Merlot, Alfrocheiro, Tinta Caiada, Alicante Bouschet and Baga. 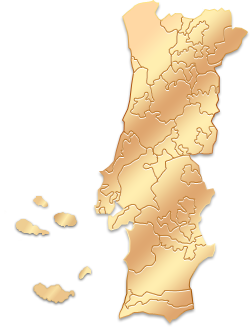 ; The white varieties are: Verdejo, Sauvignon Blanc, Viozinho, Antão Vaz, Arinto and Chardonnay. The vineyards are located around the winery, allowing the grapes to arrive quickly and without any changes during the way, and they are processed as soon as they arrive. The mission of Casa de Santa Vitória is using the best and most modern technologies, presenting quality food products with different combinations, in order to satisfy the most demanding consumers. To achieve this goal, a young, dynamic and experienced team was selected, and they are always ready to provide excellence to its customers. Located just above the Cellar, here you can observe the cellar and watch a film that shows the most important steps of wine production. This room, facing west, was designed so you can taste the wines of Casa de Santa Vitória and, simultaneously, enjoy the sunset on the Alentejo plain. Coming from the North of Portugal: Take the A1 motorway to Lisbon. From Lisbon, take the A2 motorway heading south. Take the exit Beja / Ferreira and follow the IP 8 road to Ferreira do Alentejo. After the Cipol petrol station, at the entrance of Ferreira do Alentejo, take the first right at the intersection towards Faro/Ferreira. Drive until the Ervidel/Beja intersection. Turn left towards Beja. Follow then until Santa Vitória. In Santa Vitória, turn right on the third traffic lights and drive towards Clube de Campo Vila Galé following the arrows. Coming from the South of Portugal: Take the A2 motorway towards the North and exit to the IP2 road at Ourique/Castro Verde/Beja. Then take the IP2 road, passing Castro Verde and Entradas and take the exit at Albernôa. In Albernôa, follow the Clube de Campo Vila Galé directions.